Iligan City – The Sangguniang Panlungsod conducted the second regular session for the month of September which started at 1:30 PM and held at the Session Hall, Pedro B. Generalao Legislative Building. The first resolution entitled, “Resolution supporting Barangay Hindang Resolution No. 30, series of 2018- ‘A resolution respectfully request for funding thru the Department of Agriculture for the environment development at Hindang Cave, Hindang Iligan City worth Five Million Pesos’ for their Agri- Tourism Program” was approved. Second resolution entitled, “Resolution supporting Barangay Hindang Resolution No. 31, series of 2018- ‘A Resolution respectfully request for funding thru the Department of Agriculture for the road concreting at Zone 2 going to Sitio Bacuitana and Zone 10 in Hindang, Iligan City worth Ten Million Pesos’ to support their Farm to Market Road” was also approved by the council. Third resolution entitled, “Resolution supporting Barangay Hindang Resolution No. 32, series of 2018- ‘A Resolution respectfully request for funding thru the Department of Agriculture for the road concreting at Zone 6 going to Hindang Cave worth Ten Million Pesos’ to support their Farm to Market Road“ was also approved by the council. Fourth resolution entitled, “Resolution supporting Barangay Hindang Resolution No. 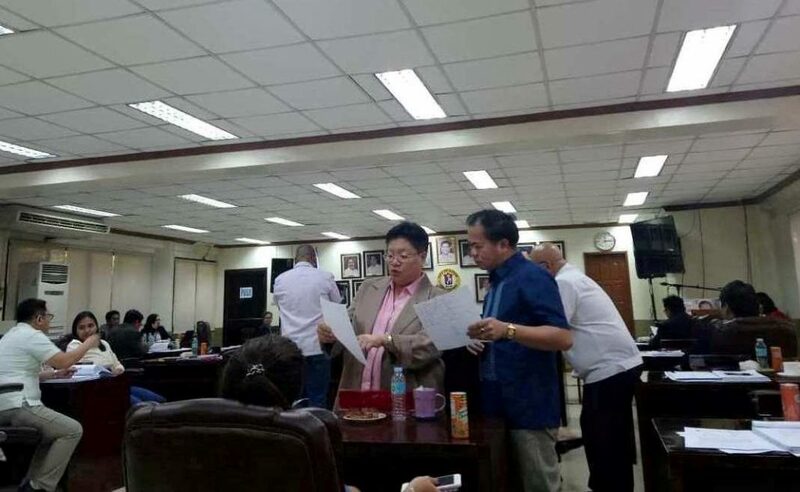 33, serried of 2018- ‘A Resolution respectfully request for funding thru the Department of Agriculture for the construction of box culvert at Zone 1, Zone 3, and Zone 7 at Hindang, Iligan City worth Five Million Pesos each zone’ to support their Farm to Market Road” was also approved by the council. Fifth resolution entitled, entitled “Resolution supporting Barangay Hindang Resolution No. 34, series of 2018- ‘A Resolution respectfully request for funding thru the Department of Agriculture for the development at Hindang Falls, located at Hindang, Iligan City, worth Five Million Pesos’ as a support for their Agri- Tourism” was also approved by the council. Lastly, a resolution entitled, “Resolution supporting Barangay Council of Hindang Resolution No. 37, series of 2018- ‘A Resolution greatly endorse Organic Banana Production thru the Department of Agriculture to Hindang Banana Farmers Multi- Purpose Cooperative (HIBAFAMCO), Hindang, Iligan City’” was also approved by the council. A proposed ordinance authored by Councilor Rhandy Ryan Ong, entitled, “An ordinance authorizing for the temporary closure of Badelles Street and declaring as one way street and no parking area portion of Labao Street up to Father Burgos Street, all of Barangay Poblacion, in this city on September 24, 2018, from 8 AM to 8 PM due to the culmination of the Family Week Celebration” was also approved by the council after some clarifications and suggestions. This entry was posted	on Friday, September 14th, 2018 at 9:33 am	and is filed under Flash News. Both comments and pings are currently closed.